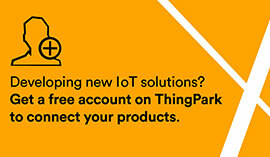 Contact our customer service team at customer-support@thingpark.com if you have any questions or issues with your order. If you need a change made to your order you should contact the Seller as soon as possible after placing the order to try and have them adjust or cancel it before the order has shipped. Usually there is at least a 12 hour window after the order is placed to try and adjust some items, ask to combine shipping costs from multiple orders to the same Seller or to cancel your order in its entirety. However, there is no guarantee that you will be able to reach the Seller before the order has shipped. If you would like to return any factory-sealed merchandise after receiving it, for any reason, simply contact the Seller within 48 hours of receipt. Once you are given approval for the return, return the merchandise in the same condition it was sent, and they will refund your purchase price, less the shipping charges. If the return is being made due to a mistake on the Seller’s part, the Seller is responsible for sending the Buyer a pre-paid, trackable parcel to return the merchandise in. However, if an item was sent to you sealed (for example, a sealed starter deck) and you opened the item, that item cannot be returned. There are no exceptions to this policy. Due to the volatile nature of the singles market, our Sellers do not accept returns on single cards. However, there are two exceptions to this policy. 1) If you are not satisfied with the condition of any products you have received, simply contact the Seller within 48 hours of receipt. The Seller will either issue you a partial refund or ask that you return the item for a replacement or full refund. If the condition of the products is in question or the item has been damaged in transit and the Seller requests it to be returned, it is the Seller’s responsibility to supply the Buyer with a pre-paid method of return for the merchandise. Once the Seller receives the returned merchandise (in the same condition it was sent) they will either exchange the item(s) or provide a full refund depending on your preference. 2) All orders are checked for accuracy before being shipped, but it is still possible for mistakes to happen. If you have accidentally received item(s) that you did not order or items you ordered are missing, simply contact the Seller within 48 hours of receipt. It is the Seller’s responsibility to supply the Buyer with a pre-paid method of return for the merchandise or to reship any missing items. Once the Seller receives the returned merchandise, in the same condition it was sent, they will issue you a full refund. If during the course of your communication with the Seller you feel that you would like ThingPark Market to be involved in helping to resolve the issue, you can send an email to customer-support@thingpark.com. We will make every effort to ensure you are satisfied with your shopping experience. ThingPark customer service has the final say on all refunds and exchanges.